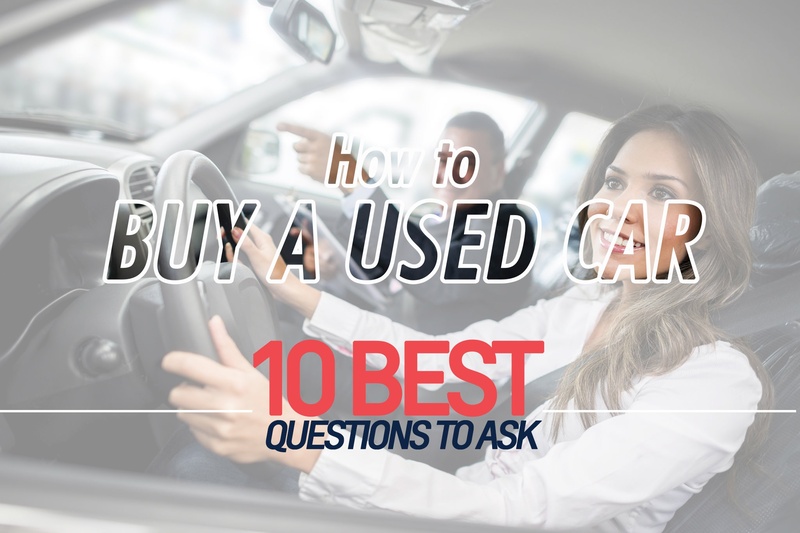 How To Buy A Used Car – 10 Questions to Ask. If you’re wondering how to buy a used car you’ve come to the right place! Here are ten questions you NEED to ask before you sign on the dotted line! Keep these in mind or print them out and you’re almost guaranteed to find that perfect ride! 1. Is the car Certified Pre-Owned? Can I see the pre-certification report or work order? Every vehicle must go through an inspection before it can be certified. From there, the vehicle is assessed and the necessary repairs are made to unsure it’s safe and roadworthy. Ask for a copy of the paperwork to see exactly what was fixed, and hold onto it in case future problems arise. 2) What service has the dealership performed on the vehicle since acquiring it? While the inspection report will likely detail any repairs, it may not detail an oil change or any number of issues added before or after the report. Ask what was fixed and to see a copy of the repair order(s). You may be surprised to learn the vehicle is in better shape and freshened up more than you think! 3) What differentiates a Certified Pre-Owned vehicle from any other used vehicle? This is very important, as it could vary wildly between dealerships- a reputable dealership will give you concrete details and explicitly detail the benefits. For example, our Certified Pre-Owned vehicles feature a warranty (three months or 5,000kms), 24 hour roadside assistance, 150+ point inspection and vehicle exchange privileges. 4) What is covered under the included warranty? What sort of extended warranty are available? While the Certified Pre-Owned program should include warranty coverage, it’s helpful to know exactly what is covered. Rust? Powertrain? Similarly, ask about other warranties available. Even if you think you’ll pass it’s still good to know your options before simply saying, “No”. And who knows, it may give you some added peace of mind. 5) Who was the vehicle purchased from? If it’s a trade-in the salesperson should be able to detail its history. Ask for a copy of the Carproof or Carfax report (which details the number of owners, where it was driven, and any accidents or liens) and go over it with the salesperson. If it’s from an auction, ask if it still under the manufacturer’s warranty and how much coverage is left. 6) Has the vehicle ever been owned by a fleet? PRO TIP: The dealership MUST disclose whether the vehicle was previously owned by a fleet or rental car company in the vehicle description page (VDP)! However, if an individual bought the vehicle from the fleet and then sold it to the dealership, the dealership does NOT have to disclose this in the VDP. 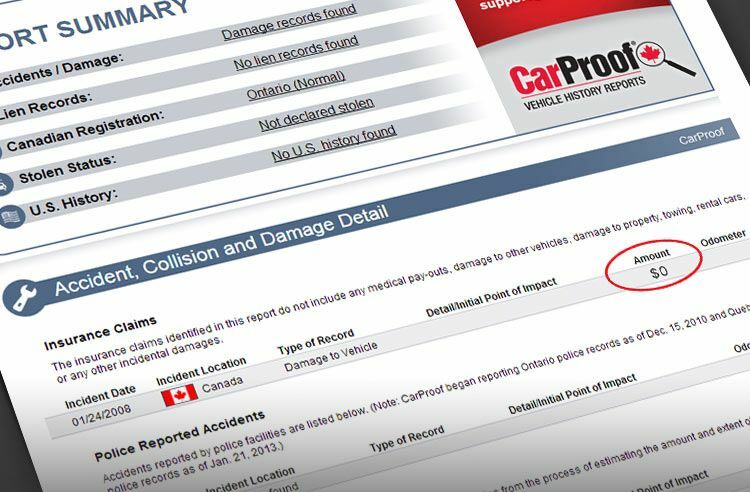 Always ask to see the Carproof/Carfax, which will detail all previous owners, both fleet & individual. 7) How long of a test drive can I take? Let’s be honest: One quick test-drive won’t reveal all you need to know about your potential new vehicle. Instead, ask if you can take the vehicle home for the night, or even the weekend. 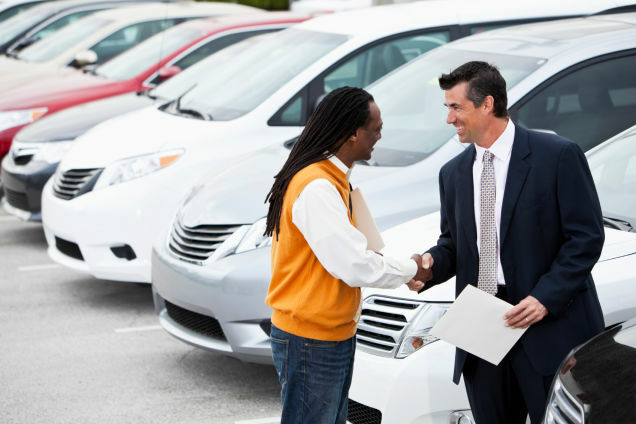 Dealers may hesitate, but if they believe you’re intent on purchasing the vehicle there’s a good chance they’ll agree. Write out an agreement saying you’ll only drive X miles and get a real taste for the car. 8) Do you have any similar vehicles? Sometimes sales people can be so wrapped up with the vehicle you’re discussing they may neglect to mention they have a similar one available, with more of the features you want! It never hurts to ask and in the best case scenario you’ll find a vehicle you like even better than the first! 9) Do you take trade-ins? This will make your life much easier, as you will not have to go through the rigmarole of cleaning your vehicle, getting it safety’d, repaired, and then advertising it. Instead, find a dealer that takes trade-ins and will deduct the cost of your trade-in from the vehicle you wish to purchase, saving you time and money. 10) Are there any special financing rates or any discounts for students ? YES! 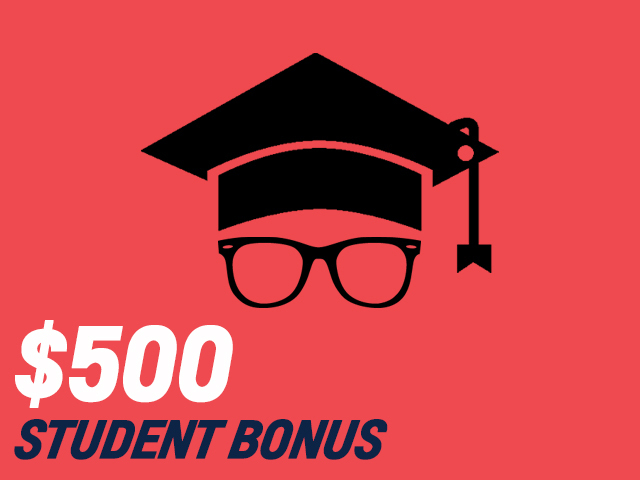 Many dealerships like Wallace offer a student or recent graduate discount of $500 on the purchase or lease of an eligible Certified Pre-Owed vehicle. You’ll need to provide a copy of the proof of enrollment or graduation within six months. Speak to your salesperson for full details!